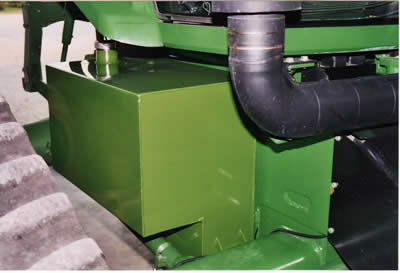 We build auxillary diesel fuel tanks for John Deere 8000T wide stance tractors. 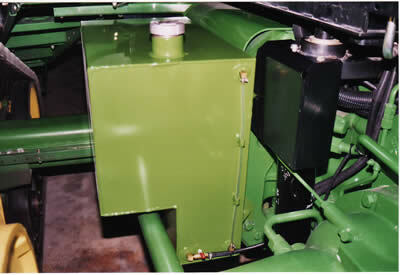 They are sold as a pair of 50 gallon tanks that mount to the frame beneath the cab. 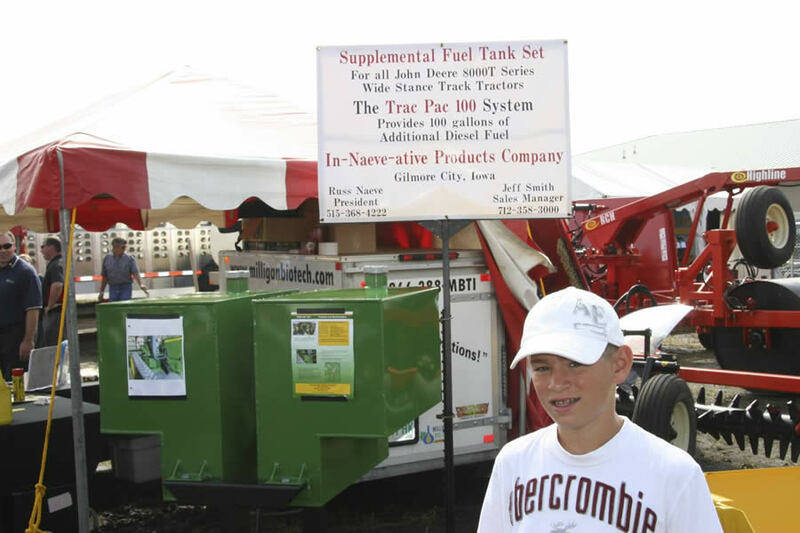 This additional 100 gallons of diesel fuel increases the capacity to 230 gallons and allows an additional 8 hours of operating before needing to refuel. 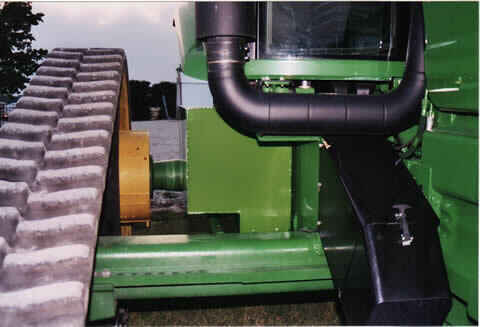 The tanks are compatible with 8000, 8010, and 8020 series of wide stance tractors made. Cost is $1975 for the set.